Students, faculty and parents poured into the Worship Center as the lights dimmed and the SBC Youth band played the first song. After a few minutes of powerful, school wide worship, Head of Upper School Jon Konzelman began the introduction of the chapel’s guest speaker, Gian Paul Gonzalez. A short video played, giving more insight into who he is and how God is using him in the lives of many. From there, a captivated audience listened as Gonzalez challenged everyone to consider how they could serve God and others if they were willing to go ALL IN for Christ. For each person, that calling is different. For some, he reasoned, it could be on athletic teams, helping to carry the weight of others and noticing when a teammate is having an off day. For others, he explained, it could be academics, helping a friend who is struggling while you yourself are tired or stressed. 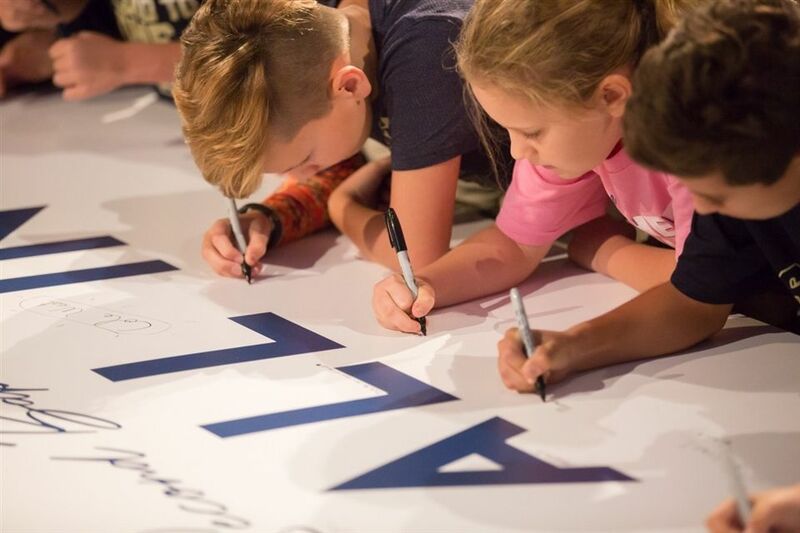 Gonzalez closed by inviting each student and faculty member to consider what going ALL IN for Christ might mean and memorializing that by signing their names on bulletin boards that now hang around the school as a reminder to stay ALL IN. Click here to view photos from the first Extended Chapel of the school year.